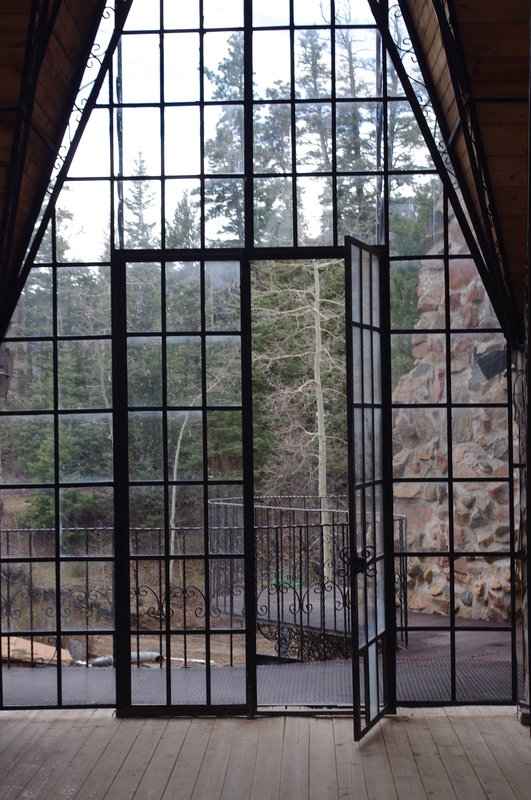 A Magical Afternoon at Bishop Castle in Southern Colorado! 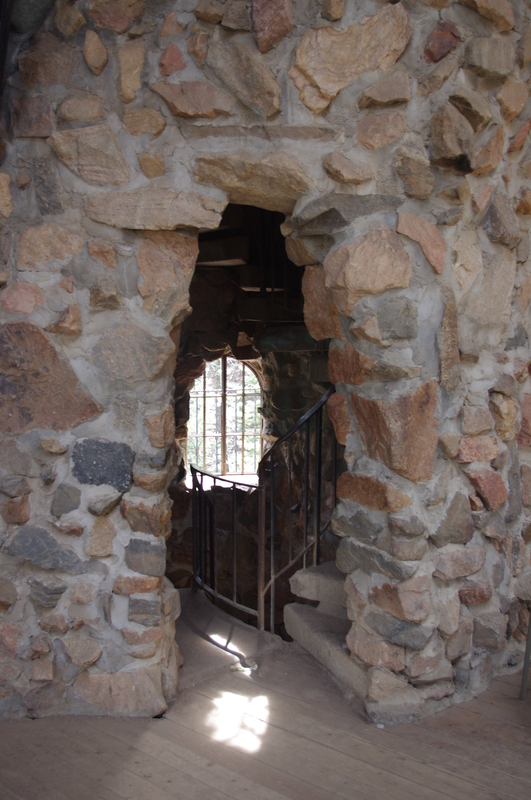 Yesterday one of Mike’s best friends visited, so we made the effort to finally visit Bishop Castle north of here. It’s only 24 miles west of I-25 and well worth the trip! 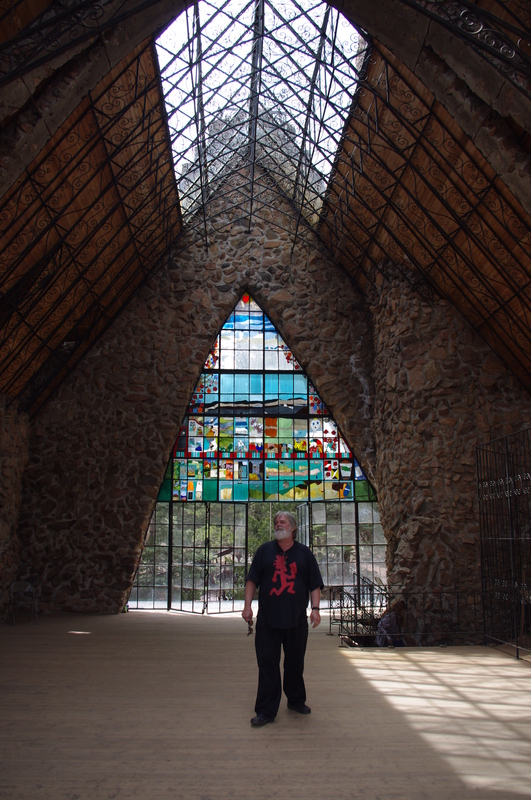 Deep in the woods, young Jim Bishop began constructing a stone castle at age 15 in 1959, while also working in the family ornamental iron works business. He quit high school when one of his teachers told him he would never amount to anything. 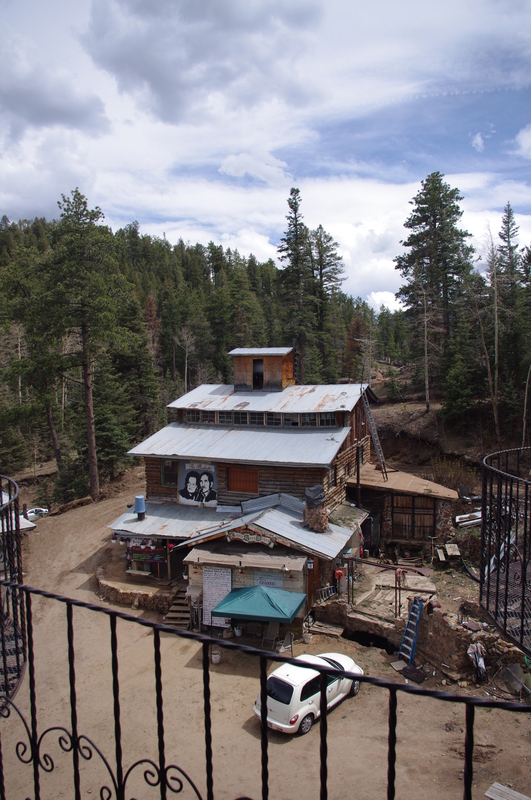 There this dramatic monument to Jim Bishop’s skill and stubbornness rises up near Highway 165 at 9,200 feet, enclosed on three sides by the San Isabel National Forest. 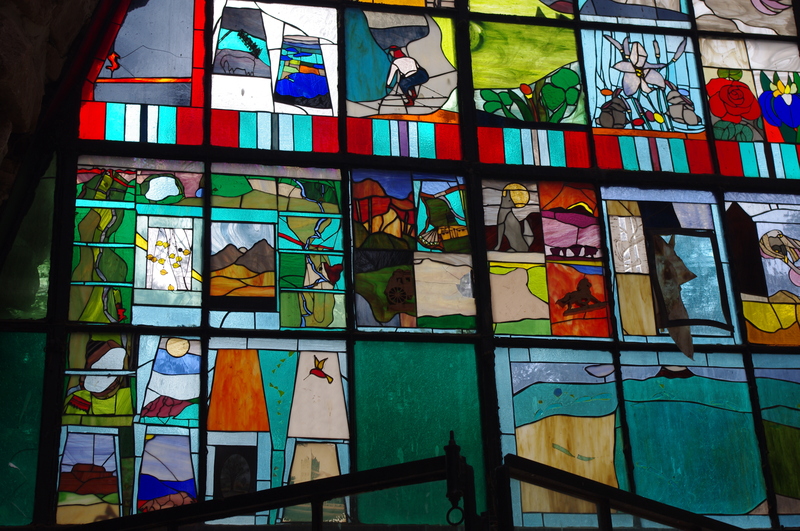 This is a close-up of some of the stained glasses. 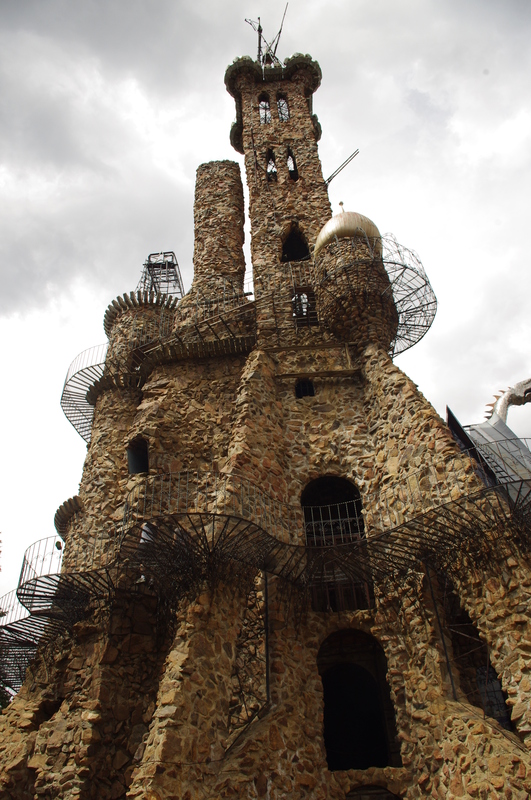 You experience towering stone walls, bright colors, light, and lovely iron work everywhere! 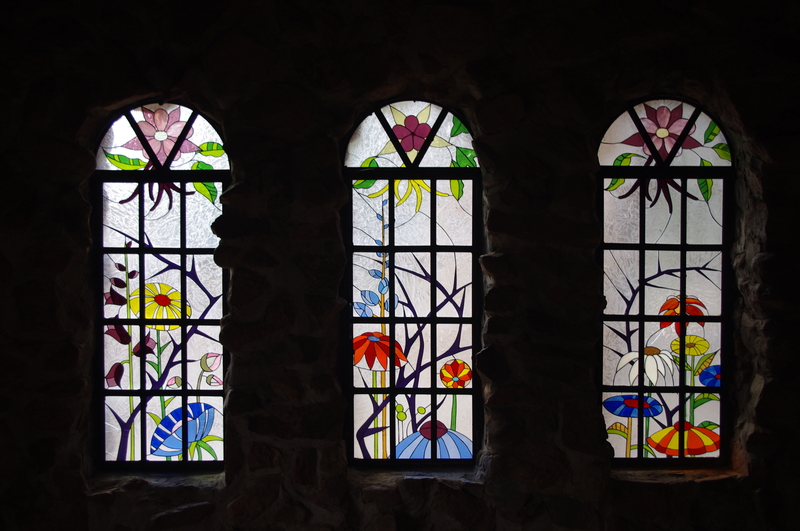 This is one of my favorite walls of stained glass! 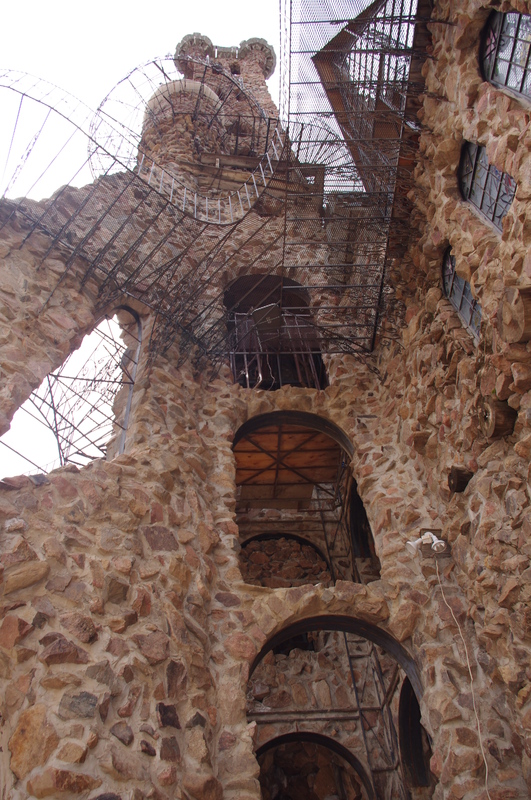 The decorative iron walkways will take you to the very top of the castle if you have enough courage, but all explorations are at your own risk! Gorgeous pics! I will pin some of them. The castle looks like it’s definitely worth a visit. So much fun! An amazing creation by one man! Great Kathy! And if you do, PLEASE come by Walsenburg so we can meet!